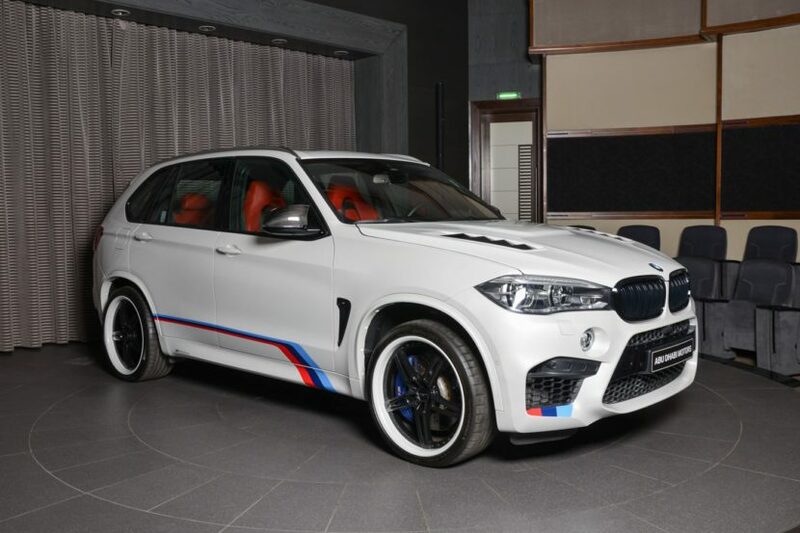 The current BMW X5 M is on its way out. That’s because the G05 X5 came out earlier this year and is bound to get a high-performance version in 2019, a model we’ve seen out testing a number of times. 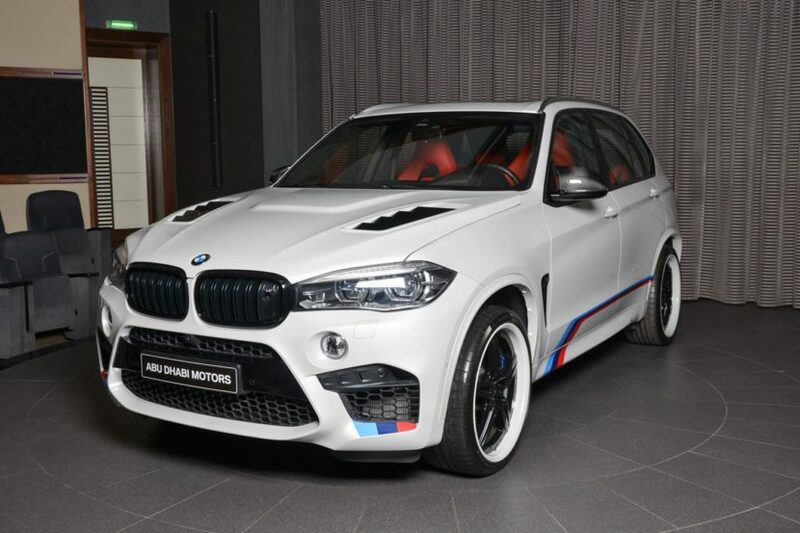 However, until then, lovers of high-performance SUVs can still get the current M model, which can still hold its own against its newer rivals, without too much fuss. The folks from BMW Abu Dhabi had one delivered this week that wears a couple of aftermarket bits and pieces, as they got us used to lately. However, while we love some of their combos, this time I feel like they might’ve gone a bit too far. Not the dealership per say, but more the customer who ordered his or her car in this configuration. As you can easily notice, the car has a Manhart vented bonnet instead of the stock one, a nice touch in my book, since it does fit in with the blacked out front grilles and other black elements around the car. There’s also a new Akrapovic exhaust on there, to bring out the best notes out of the 4.4-liter V8 under the hood. The tips of the exhaust are done in carbon fiber, as one would expect and match Akrapovic rear diffuser, made of the same materials. There are also a couple of BMW M stripes thrown in for good measure, but I don’t think they fit the car and actually take away from its stealthy appearance in standard guise. What I don’t like here though are the AC Schnitzer wheels. Their white, deep lips are somehow putting me off, combined with the blacked out faces. Furthermore, they seem a bit small for a car of this size, even though they are 22s. I guess the massive gaps between the five double spokes of the rims make everything seem off here. Then again, looks are subjective and all that matters is that the owner is happy with his or her purchase.